Sandy Sakamoto has experience in a breadth of practice areas including business, real estate, ﬁnancial transactions, and litigation. Her real estate experience includes development, build-to-suit ofﬁce facilities, acquisitions, dispositions, leases, and commercial loans, including the representation of lenders for the development of new hydrogen technology infrastructure, real estate loans to auto dealerships and other projects. Ms. Sakamoto has handled a wide array of business transactions including by way of example, asset sales, acquisition of renewable power by utilities, vendor contracts, and a MLB stadium marketing and naming rights contract. In addition, Ms. Sakamoto has experience on a wide variety of business, commercial and complex tort litigation, including class actions, employment, fraud and breach of contract matters. 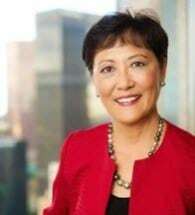 Prior to joining LimNexus, Ms. Sakamoto served as General Attorney and Assistant General Counsel for a global Fortune 50 telecommunications company in charge of its Los Angeles regional law department where she worked on cell site licensing, telecommunications operations, and issues involving easements and public rights-of-way, environmental compliance and public utility afﬁliate transactions. Ms. Sakamoto is based in Los Angeles. Represent the financing affiliate of a global automaker in loans for the development of cutting edge hydrogen fueling stations. Represented a major power utility in personal injury litigation and trial regarding utility operations. Analyzed and advised on UCC filings for 100+ commercial loans for the financial services arm of major auto maker. Represented the U.S. financing arm of a global automaker in regards to real estate and construction loans aggregating more than $90 million for acquisition and development of dealerships. Represented a major university in the negotiation and drafting of a lease renewal for 140,000 square foot commercial building for research and development purposes. Represented a major bank in the pursuit of $24 million in claims against a major downtown developer and affiliated entities. Represented a developer in the assumption of a $78 million loan in connection with the purchase of a regional shopping center. Represented a major energy utility in a real estate transaction to acquire mitigation properties in connection with a major transmission line project. Advised major energy utility on risk mitigation in the structuring of a complex financial transaction involving a developer of biofuel for energy generation. True Grit and Growth Mindset - Secrets of Success," panelist, webinar, Women's Leadership Network of the NAtional Asian Pacific AMerican Bar Association, August 2015. "Right of Way Case Law Updates," panelist, Law Seminars International, November 2001. “Business Development Bootcamp: A Practice Guide for Associates and Junior Partner,” panelist, 2018 California Minority Counsel Program Business Conference (San Francisco).